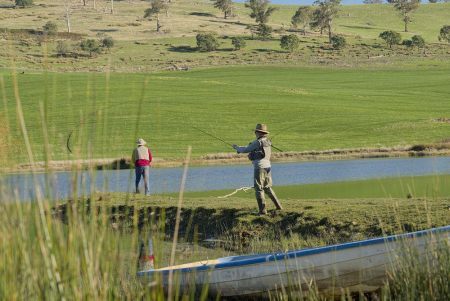 Within thebeautiful state of Tasmania we offer three main destinations - Eaglehawk Neck and Trout Fishing in the stunning Derwent Valley and the Central Highlands. Eaglehawk Neck is located on mainland Tasmania about 1 hour’s drive south of Hobart. 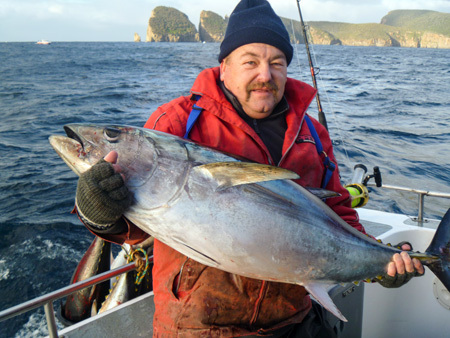 In season this area can produce fantastic sized Bluefin Tuna some over 100kg (Mar-May) and great tasting Trumpeter (Sep-Dec) plus other species. 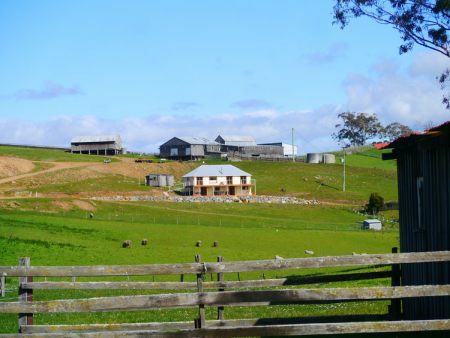 We have a quality package in the Derwent valley staying at a luxury Farmstay for two nights including two full breakfasts, and two days guide fly fishing/tuition with Ken Orr/Orrsome Fly Fishing the longest serving professional guide in Australia who also provide lunch. The Central Highlands are 2.5 hour’s drive from Hobart. 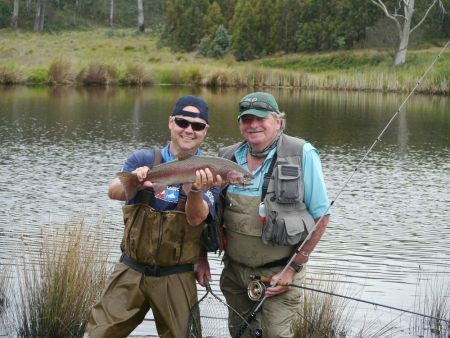 Here you can learn to fly fish with one of Australia’s top fly instructors or simply spend a few days scouring the rivers of the highlands for Brown and Rainbow Trout. 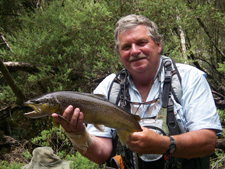 Trout season in Tasmania runs from early August to the end of April every year. 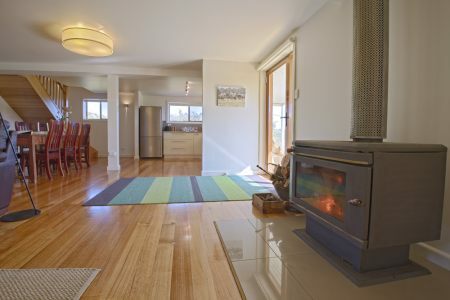 28 Gates is a special piece of luxury in Tasmania’s stunning Derwent Valley, just one hour’s drive North West of Hobart. The Lakes and Lagoons are a Fly Fishers paradise with Wild Brown and Rainbow Trout, Brook Trout & Tiger Trout in superb condition, feeding on a wide variety of insect life. Enjoy dry, nymph or wet fly fishing, dependent on time of the year and who knows you may catch a double figured fish! As part of the package you are guided by a fully certified casting instructor who offers their years of experience on the art of fly fishing for beginners to experience and anglers. So if you haven't fly fished before this is the perfect way to learn. 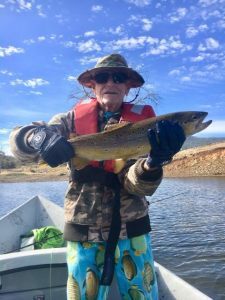 Your guide also knows these waters well and will help put you on a dream fish or even help you try to catch the full variety of trout over the two days. Don’t be surprised to be broken off or find yourself well out into the backing, so come down and accept the challenge of 28 Gates and if you don’t fly fish, we are only too happy to teach you. 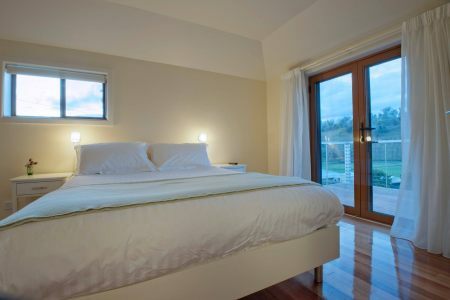 Luxury boutique accommodation includes breakfast provisions, bottle of still or sparkling Tasmanian wine, morning tea, lunches, afternoon tea and a home cooked dinner other special treats. *Subject to availability of promotional airfares. Prices quoted are ex Melbourne.